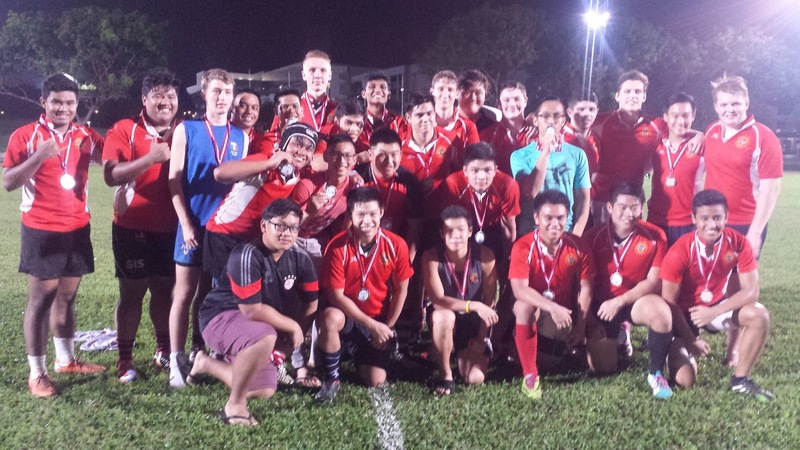 1st Round – It was a close encounter for both matches with both Singapore Schools Teams winning their opening matches against Combined ITE and Combined Polytechnic Barbarians. 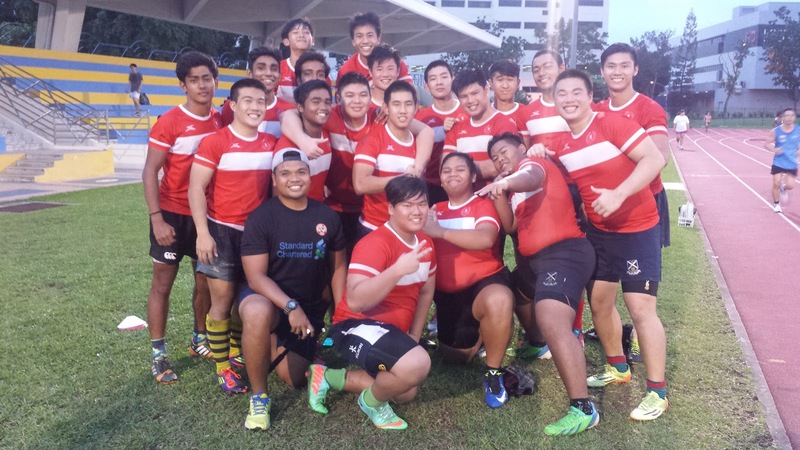 In the 1st match, Singapore Schools B looked to be more dominant side throughout the game, leading the half 5-0, and finished off the game 16-5. In the 2nd match, it was anyone’s game with both Singapore Schools A and Combined Polytechnic Barbarians Team putting constant pressure to each other. Heading into the 1st half 7-8 to Singapore Schools A with the lead. In the 2nd half, both teams added in a converted try each, but with Singapore Schools putting in an extra penalty kick to extend the lead 25-21. In the final minutes of the game, flyhalf Joshua Goh (ACS I) from Singapore Schools A attempted a drop goal 25m out and succeeded, extending the lead to 7 points difference, and with the drop goal successful, the full time score stood at 28-21, in favour of Singapore Schools A. 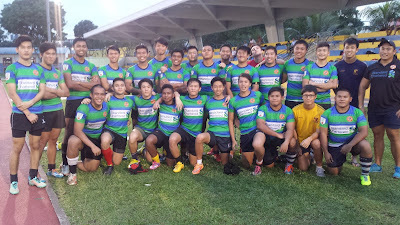 2nd Round – Combined Polytechnic Barbarians got their first win today, where they played against Singapore Schools ‘B’. 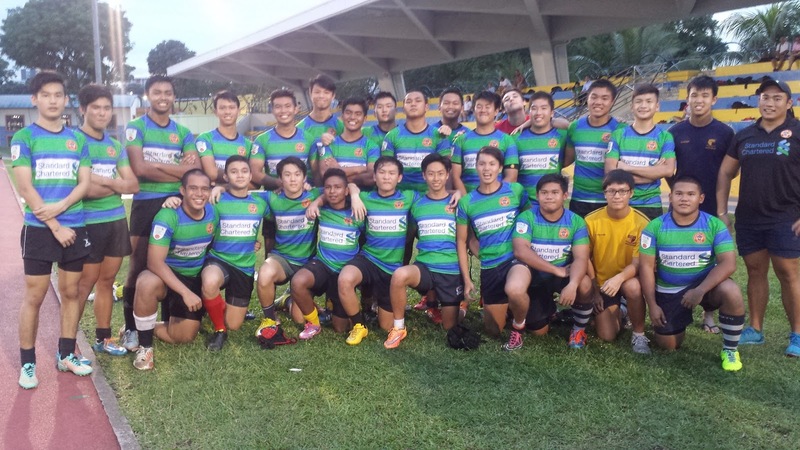 Having lost to these Singapore School’s side last year, this year the Poly Barbars came back with a vice versa results on the opposition, putting in 4 tries in the first half and another 4 in the 2nd half, final score Combined Polytechnic Barbarians 48-7 Singapore Schools ‘B’. 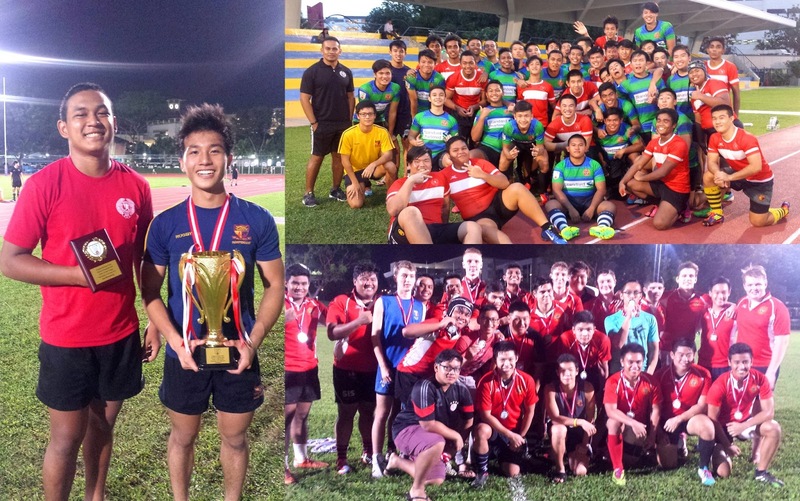 In the other match, Singapore Schools ‘A’ continues their winning streak, showing why they were the past year’s winners, winning their match against the Combined ITE 55-0. 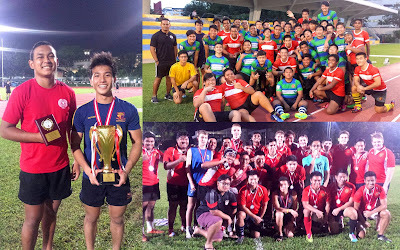 Final Round – Singapore Schools ‘A’ continued their unbeaten record winning their last match of the tournament against Singapore Schools ‘B’ 24-8, and crowded Winners of the tournament, 2 years straight! Well done to the players and management team! Having gotten 4th in last year’s tournament, the Combined Polytechnic Barbarians took 2nd placing in this years tournament after defeating Combined ITE today. Regardless of results, well done to all teams for displaying great teamwork, character and fighting spirit! 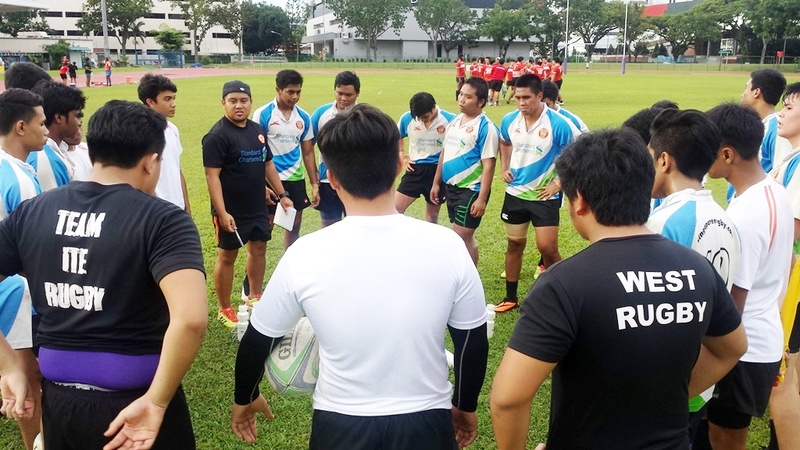 We would also like to take this opportunity to thank Standard Chartered Bank for their continous support to youth rugby in Singapore. Well done to all teams, players, coaches and the support from all schools! NextNew Zealand Rugby Experience Camp!